Monday through Friday can be a grind. But the weekend is yours. From Friday at 5:00 PM to Sunday at around 10:00 PM you've got 53 hours to do the things that you have been looking forward to all week. For weekend warriors looking for something unique and challenging, BAM Jam has you covered from the time you check in on Friday until your final game that could be Sunday afternoon. 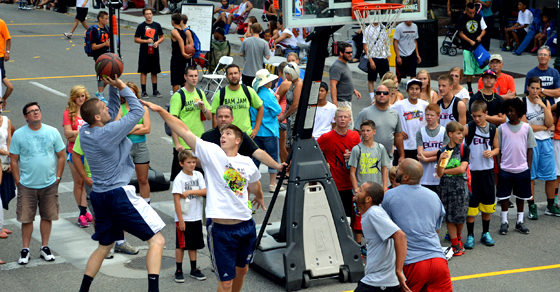 BAM Jam hosts "weekend warriors" to two days of basketball on the streets of downtown Boise, Idaho. Let's start with the basketball. In the summer, every team is guaranteed at least 3 games. You pick the style of play (men's, women's and co-ed options) and the level of competition you want to play at (adult men have three options plus height divisions) and we'll match up you for a chance at the title. We play on the streets so bring your grit. But if you bring your game, we'll take care of you. We've got multiple St. Luke's medical stations at the tournament with doctors and certified athletic trainers that are here to keep you on your feet. Wrap up that jammed finger, throw on some sunscreen, grab a POWERADE and get ready for a great time. Crowds gather to see players battle it out for their division title. True weekend warriors are in it for more than just a few games. Wins are great, but the overall experience has to be something worth talking about on Monday. We've got you covered there too. While you are at the tournament, there is more to do then just play and watch hoops. Capitol Park provides not only shade but some of the best food vendors in town. And since we are located in the heart of downtown Boise, you can easily park near the tourney and get pretty much anywhere you need to go on foot. The Old Boise area provides multiple dining and shopping options. 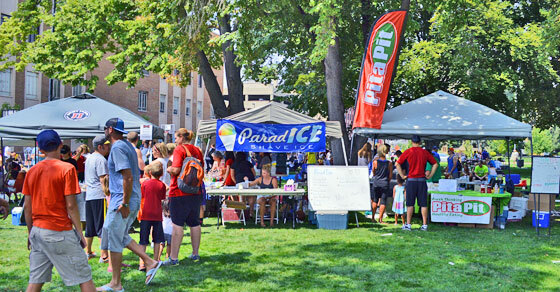 On Saturday Boise hosts a huge farmers market that is just one block away. Saturday afternoon, BAM Jam hosts the nation's only Slam Dunk and 3-point competition on the steps of a state capitol building. It is unlike anything you've ever seen before. Saturday night always features the official BAM Jam after party. Shower up and join other players and fans for some fun and drinks (all at special BAM Jam discount pricing, of course). And then on Sunday afternoon bracket championship games begin. Whether you are still playing or just want to watch, there is a real buzz as teams make their final push to win the crown. 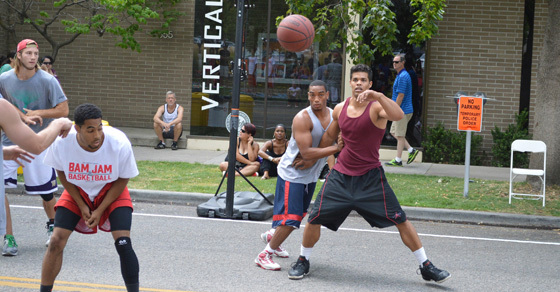 At the intersection of Bannock and 6th Street you will find all the Elite Division Championship games loaded with current and former college and professional players. For the basketball weekend warrior, BAM Jam is something you'll definitely leave with a great experience and a story to tell on Monday. BAM Jam registration is open now and the tournament is August 8-9. Click herehttp://bamjamboise.com/play to visit the registration page. Make sure you complete your registration by July 18, which is the guaranteed deadline. After that you are taking your chances and may be left out of the tournament. So don't take any chances. Click here and register today!